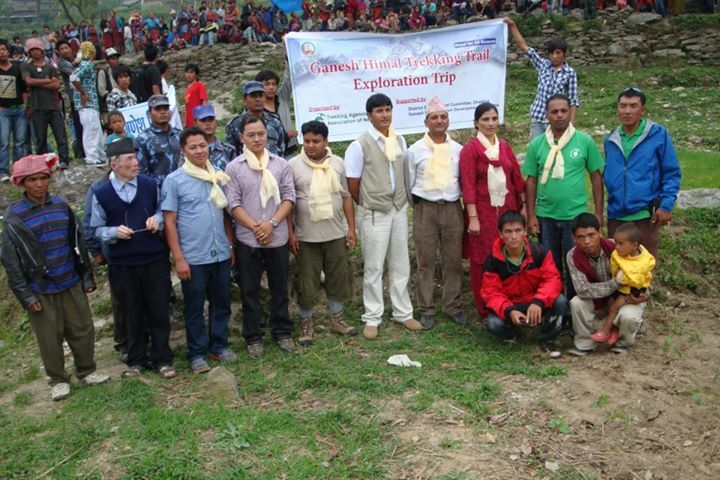 Ganesh Himal and Tamang Heritage combined trekking’ offers a deep look at the Tamang culture. This trek is virgin, of the beaten track, wilderness, less touristic and ancient trading route to Kerung in Tibet. 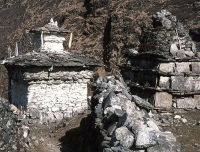 Tamang- Helmo and Tibetan culture, beautiful and unique Tamang settlements, marvelous Himalayan views of Ganesh Himal, Sangen Himal, Langtang Lirung, and home-stay are the main features of this trek. 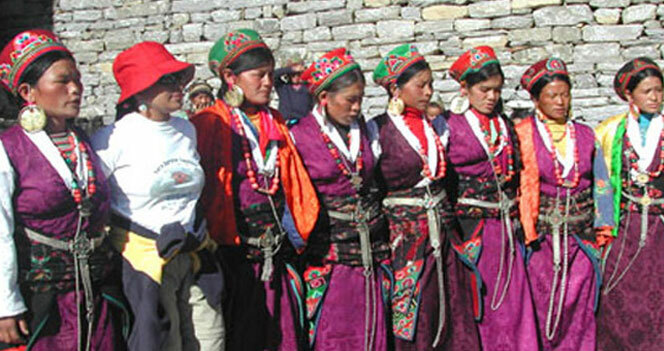 The people of the region are Tibetan origin who came to Nepal during 14th century. 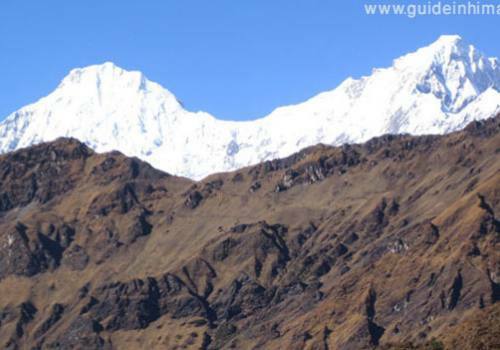 Ganesh Himal and Tamang Heritage Trail trekking trip is unique, culturally rich, includes historically famous sites such as the Tatopaani (hot spring) and passes close to the ancient fortress of Rasuwagadhi. Besides, the Nagthali view point one of the best view point in Nepal. 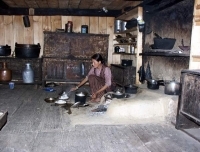 Staying at local people’s homes during your trek will give you the unforgettable experience of moments. 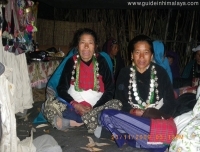 We, Guide in Himalaya are from the Sertung Village which lies on the way trekking to Tamang Heritage from Dhading and we provide you local guide and porter for this trekking. 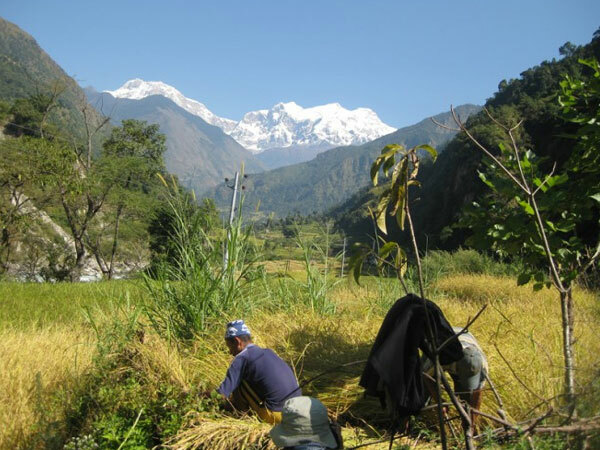 This trekking trip can be combined with Manaslu trek for a month long wilderness journey to the Great Himalaya Trail. Day 01:Drive to Arukhet from Kathmandu, 7-8 hours. Ride local bus to Arughat via Arughat Bazaar about 8 hrs through smooth road and after lunch at Dhading besi continue drive to Arughat approximately 4 hours drive then half an hour to Arughet. Stay there overnight. Day 02:Trek to Dunchet (1519m); 7-8 hours walk. The trek starts early in the morning from Arkhet. We cross the Budi Gandaki River through suspension bride, we ascend towards the beautiful village of Manbu. The trail is excellent. We pass the terrace fields and the small settlements and reach the beautiful village of Manbu. Then trail is narrow and stone based. We can passes terrace fields and several villages. The trail ascends to the village of Dunchet from where we can see the beautiful terrace lands, the people and their cultures, stone-made houses and many more. Overnight stay there. Day 03:Trek to Nauban Kharka (2500m); 7 hours walk. Today's trek is almost inside the dense forest. 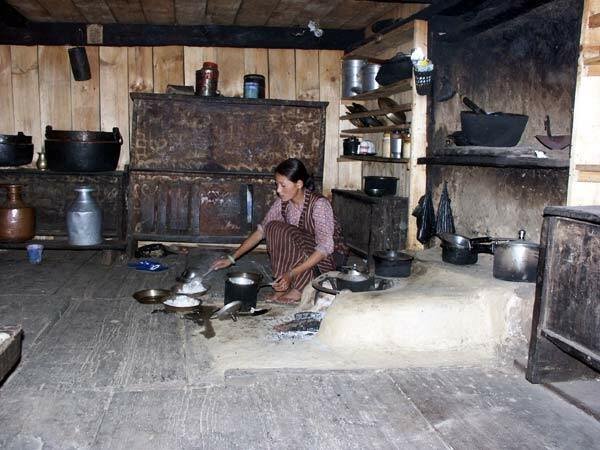 You get a great experience with the small trail mostly used by the herders and woodcutters. You can hear the sounds of cicadas and monkeys only. While passing through the jungle you can see waterfalls also. the trail continues ascends and we reach the village of Nauban Kharka from where we can see the panoramic view of Mt. Manaslu, Annapurna II, Boudha Peak and other snow-capped peaks. It is also famous to see the sunset views of Annapurnas. Overnight stay there. Day 04:Trek to Magne Goth (2,950m) via Myangal Bhangyang (2,975m) 6-7 hours walk. After the admirable views of Mountains at early morning, we hike towards Magne Goth. Almost 2-hour trek we reach Myangal Bhangyang from where we can see the panoramic views of mountains. The trek passes several grassy hillsides and the temporary shelter of herders. We can dip and out in the forest that amazes our trek. We enter the charming village of Magne Goth after 4 hours walk and rest at Tea House and overnight there. 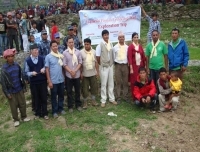 Day 05:Trek to Khading Village (2015m); 5-6 hours walk. The trek starts after having breakfast at Magne Goth. The trail is quite steep somewhere. On the trail, we can see Fabulous views of Ganesh Peak and Paldor. The trail descends with the beauty of the terraced land and some small kharkas we reach the beautiful large Gurung village named Khadling. We stay overnight there. Day 06:Trek to Sertung [1904m] via Borlang (1600m); 6-7 hours walk. 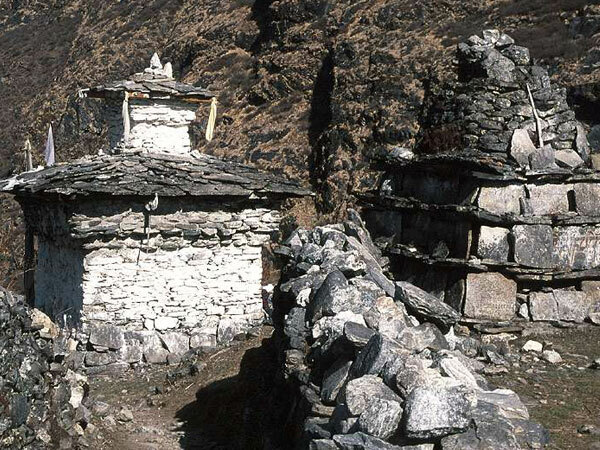 The trek descends towards the Aakhu river and ascends to the beautiful village of Borang. We pass the beautiful terrace land with paddy field. The trail we can see the fabulous view of Ganesh Himal. After Borlang, the trail is narrow and passes the paddy field until we reach Awai. The we continue to Sertung via Galka Pass. We check-in at the tea house and stay for the night at Chalise. Today; it is a rest day at Sertung - is probably the biggest cultural village; the majority is Tamang. We can have a beautiful hike to Phenchet Gompa and Brakar View Point. Or rest your body, do some washing and rest and realxing. Overnight at homestay / teahouse at Sertung. Day 08:Trek to Marmelung Kharka (2,845m); 6-7 hours walk. After having breakfast we start our hike to Marmelung Kharka. The trail sometimes descends and sometimes ascends, passing beautiful terrace lands, terrace fields, some grassy lands. We can meet the local people with some tea house and small shops where we can take some rest. We can pass the forest full of leech before reach to Marmelung Kharka. We overnight stay there. Day 09:Trek to Somdang (3258m) via Pangsang Pass (3830m), 6 hours walk. 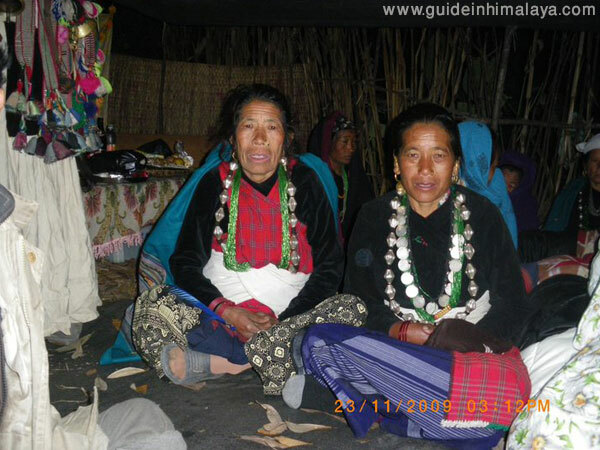 We start our hike with the fabulous witness of Ganesh Himal. The trail ascends which is quite steep and zig zag before reach the hill. We can meet the local trekkers on the way. This is the good place to explore the nature of Nepal. From there the path is good and we pass through the forest of old trees. As we go higher we can see the forest of rhododendron then reach the hill where we can see the panoramic views of nature. The pass has a flattened area with several simple tea houses where we can take rest resume walk to Somdang. Overnight in teahouse. We have a day hike to Paldor Peak Base Camp. This day can be skipped in case if you are needing to shorterning the trip but it is worth to hike to Paldor Base Camp. Overnight in teahouse at Somdang. An experienced registered English speaking friendly local guide. Lodge accommodation for all during the trek. Please note that this itinerary is only for guidelines so we can redesign the itinerary as per your interest and your requirements so this trekking can be extended to Kyanjin Gompa, Gosainkunda Helmbu or even to Manaslu other side in west. The trip price will be according to Deluxe, Standard and Budget. Please kindly provide us your detail.